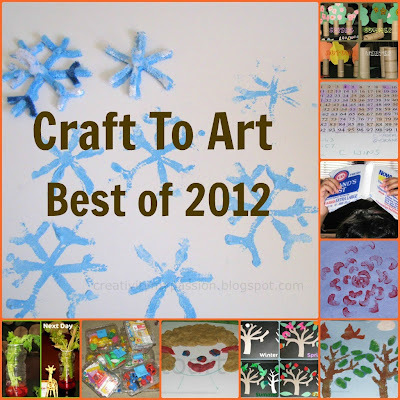 New year is here, before we start off with new activities I would love to look up at our last year posts. Here is a quick recap of the top ten most viewed post as per Blogger stats! We carefully peeled the upper layer of celery to check the colored capillary tubes inside the celery and how the water is absorbed. 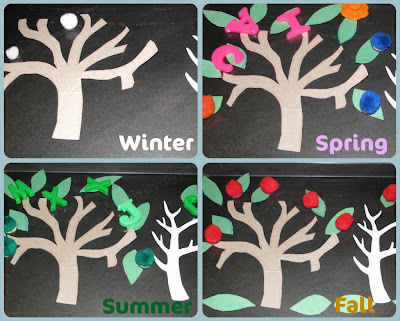 #3 - Magnetic Four seasons play to go along with the book "The Apple Pie tree"
Laminate construction papers and draw simple outline images using dry erase markers on them. Use them as play dough mats! I reuse clear plastic containers that have berries, tomatoes, spinach, grapes, lettuce, okra to store and Organize my daughter's toys. They come in various sizes starting from small to big and perfect for storage. #7 - Four Seasons Play to go along with the book "Forever Friends"
We love the book and the story. 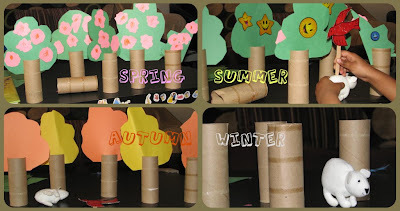 For the Book + Activity, We made the toilet paper roll trees with different tree tops for the different seasons. To play this game all you need is a laminated 100's chart and a Dice. 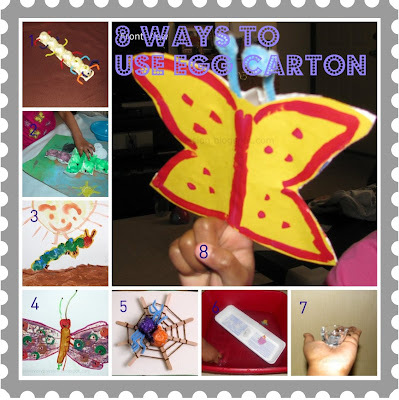 In this activity, we had lot of fun with the salt tray and we made stencil salt prints. Tracing the Foot print with Magnetic pom poms - This is my favorite because CJ came up with the idea. 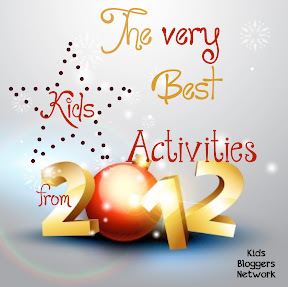 The Best of 2012 is a Blog hop with the following Bloggers! Please stop by to check their Best!